I was one of 50 property managers interviewed by Michael Levy for his new book ” Successful Property Managers” – advice and winning strategies from industry leaders. Mike’s book is part of a series of books where he interviews 50 industry experts so the reader can learn from the shared experiences about a specific topic. I am a big believer in learning from other’s mistakes and successes. 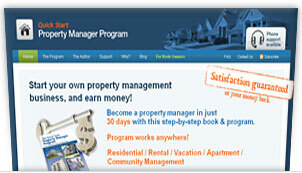 My Property Management Start up Kit – Quick Start Property Manager Program is a collective of my 10 years of experience in growing a property management business. 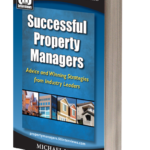 I encourage you to have a look at Mike’s useful resource at Michael Levy’s Interviews of Successful Property Managers.